High-powered projection with great breakup. 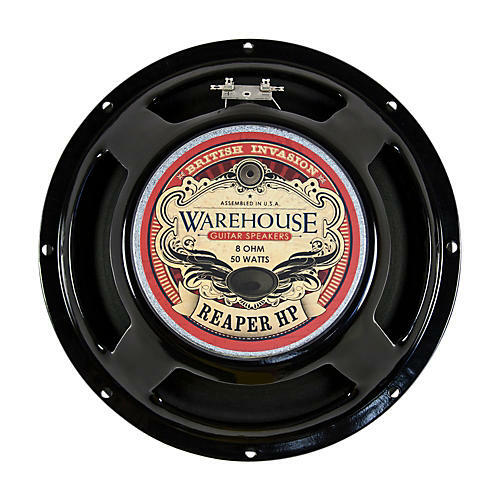 The 12" high-power Reaper HP is designed to go where the 30W version couldn't. If you want a good clean tone with just the right amount of breakup at medium-high volume, then this is your speaker. This 50W version is both warmer and more powerful than the 30W model. Do your ears a favor, and install one (or more) in your cab. Order today!